New format to easily cut into half-pages! 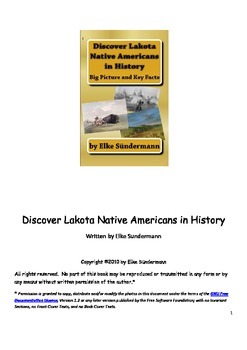 This informational text ADVANCED level reader describes past and present life of Lakota tribes. Gives information on food, shelter, clothing, geography, and games. Full color photos and large print enhance reading enjoyment. 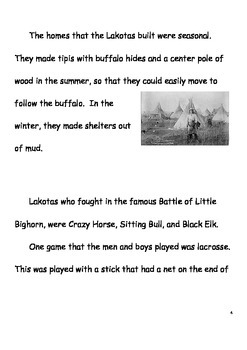 Can be used in guided reading groups or collaborative learning groups.